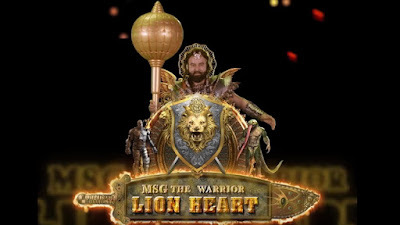 Hello Guys We sharing some beautiful and best dialogues of film MSG - The warrior Lion Heart. This is the another sequel of MSG film which was released in 13 Feb 2015. The movie is directed by Gurmeet Ram Rahim Singh and produced by Hakikat Entertainment. Gurmeet Ram Rahim Singh Honeypreet Insan and Charanpreet Insan are playing main lead role. Gurmeet Ram Rahim Singh has worked in thirty departments in the film, including Actor, Director, Choreographer, Dialogue-writer, Editor, right down to DI Head, Make-up and hair designer, background scorer and many more. The movie trailer has already released. The trailer views on Youtube has reached about 40 million. The movie is going to hit. The movie has some awesome dialogues delivered by Gurmeet Ram Rahim Singh. All dialogues are famous. So I have collected those best lines & punches of this movie MSG The Warrior Lion Heart. "Yahi hai hamare liye sabse bada khtra"
"Sir ka ek bhi kadam bhi kadam bina wajah ken hi hota jitna main janti hu"
"Ham sab kasam lete hain lion heart ko marne degen"
"Hukum sacchi-sacchi batana ki aapko kabhi meri yaad nhi aayi, Yaad to aati thi, Par mera pehla pyar bich me aa jata thaa"
"Us rajya ki puri praja pagal ho chuki hai raja sahib"